Your business has grown. There are suddenly numerous people, varying goals, multiple to dos and countless streams of conversations opening and flowing and you aren’t privy to any of them. In this unfamiliar territory, you need confidence that everyone is working towards the same goal. You need confidence your information is safe. You need confidence that the business will run when you aren’t there – or someone else leaves. Introducing CommTrak. The CRM that gives you and your people the ability to track workflow, store data, monitor sales and share information – anywhere, anytime. 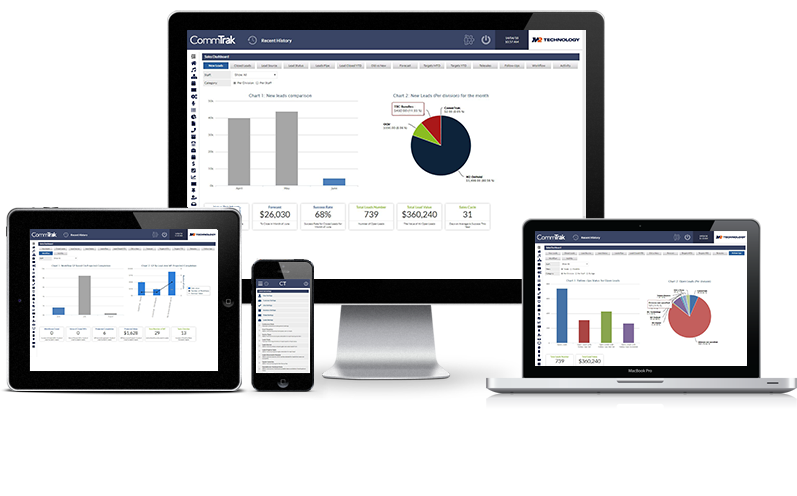 CommTrak CRM sits up there in the ‘cloud’, meaning you have access to your entire database at any time, from anywhere in the world. No double entry, information at your fingertips, accountability and focus. CommTrak provides all these elements. Get the whole picture, complete transparency of your customer’s relationship with your business. Allows users total access, or only access to the areas you wish to them to have. CommTrak allows you to generate hundreds of reports to ensure you have complete visibility over your business. © CommTrak 2014. All Rights Reserved.